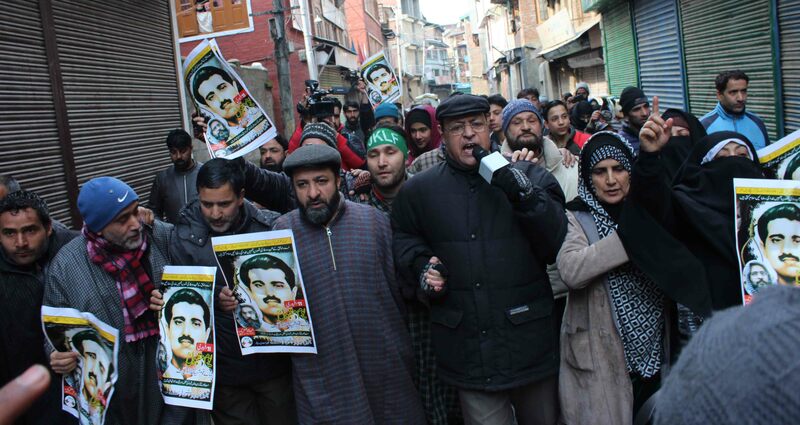 Amid the tight security in Srinagar, the Joint Resistance Leaders and activists on Monday staged a protest demonstration demanding back the mortal remains of slain Mohammad Afzal Guru and Maqbool Bhat. Scores of the leaders and activists including females staged the protest in Srinagar and demanding back the mortal remains of Guru and Bhat. The protesting leaders also raised pro-freedom slogans. The JKLF spokesman claimed that many leaders were arrested during the protest at Lal Chowk Srinagar. Pertinently, JRL had called for the complete shutdown on February 9, and 11, 2019 to mark the death anniversaries of Mohammad Maqbool Bhat and Mohammad Afzal Guru.